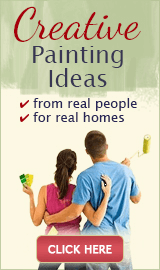 Caulking and painting are not just about the aesthetics of a paint job (although the looks alone are enough reason for many perfectionists and pro painters). And while it may seem like caulking is just an extra, even unnecessary step that can be skipped without any consequences, you will often end up wasting more time and money than the few minutes and the couple of bucks you tried to save by not doing the job. 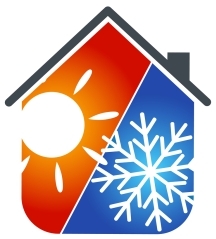 Your house only looks like a solid structure, when in reality it is constantly moving and settling, expanding and contracting with the changes in temperature and humidity. 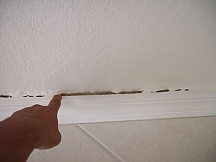 All this movement causes the old caulking to split, and when this happens, it may lead to a wide array of problems that can be easily and timely prevented with a fresh tube of caulk. Did you know that if you add up all the small cracks and gaps in your home, you could have the equivalent of a two-square-foot hole or bigger? That is like leaving a small window open all year long - no wonder your energy bills are so high! Most people don't realize how much energy is being lost on a daily basis simply because their house is not sealed properly (you know these money-sucking gaps are really bad in your home when you can feel chilly drafts and it is uncomfortable to stay near walls and windows in cold weather). But you don't need to open up the walls to upgrade your insulation - oftentimes a tight seal of caulk (inside and out) is enough to eliminate this loss of energy, create a more uniform temperature throughout the house and possibly even lower your heating and cooling bills. Unsealed gaps and cracks on the interior and exterior of your house also invite insects to invade your habitat. To them, every tiny opening is like a wide door with a banner "All Bugs Welcome" above it, and it's futile to keep fighting the invaders with sprays, powders and glues unless you also eliminate the cause of the problem. And a very easy and often overlooked way to block their access inside your house is again, with a line of caulk. This is another way caulking can save you money - a tube of caulk may protect your home even better than pest control treatments, and that small one-time investment of a couple of dollars and a bit of your time will keep paying off for many years. As a nice bonus, you may also notice that not as much dust accumulates inside your home once it's thoroughly sealed. Exterior caulking serves like the first line of defense against water damage. When it's missing, every time it rains or you get your house power washed, the water starts seeping behind the trim and it's only a matter of time until you see water stains inside your home. 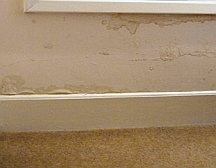 In addition, the moisture accumulated inside the walls creates a perfect environment for mold and mildew to grow - which can eventually eat its way through and appear behind furniture, wall coverings or in the carpet. And finally, when the inner, unpainted sides of wood are frequently or continuously exposed to moisture, they start rotting, warping and cracking and at some point will lead to costly repairs or replacement (that you could have avoided by keeping the exterior of your home sealed with caulk). 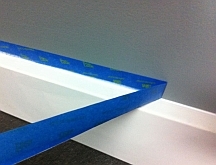 Have you ever tried cutting a straight paint line along rough or bumpy edges? Then you know it's a frustrating task because it's impossible to do a good job by hand, and masking tape doesn't stick well to uneven surfaces. And there is - just run a tidy bead of caulk along all edges to create a smooth path for the brush to glide on (corners under the ceiling, around door and window trim, along baseboards, chair rail and crown molding) and see how much easier and faster it is to cut in. Caulking is also the secret to making accent walls and wall stripes look neat and clean, even if your walls and corners are not perfectly smooth to start with. All professional painting contractors know that caulking and painting should go hand in hand, that's why they always take the time to seal all gaps and cracks before they start painting - both for looks and protection. It doesn't matter much that the paint colors are gorgeous if the paint job is messy, because the lack of quality and attention to detail will usually steal the show. In fact, the biggest giveaway sign of who did the painting - a clueless amateur or a pro - is how clean and tight the paint lines are. So don't cut corners on caulking inside your home and regularly check its condition on the outside - it's always worth your time (or money, if you hire a pro to do it), and the results will be immediate and long lasting.